Tight fit? 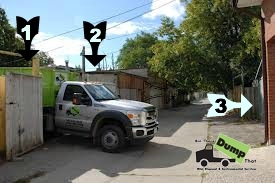 No problem with our regular sized pickup and unique roll off system we can put a bin almost anywhere. 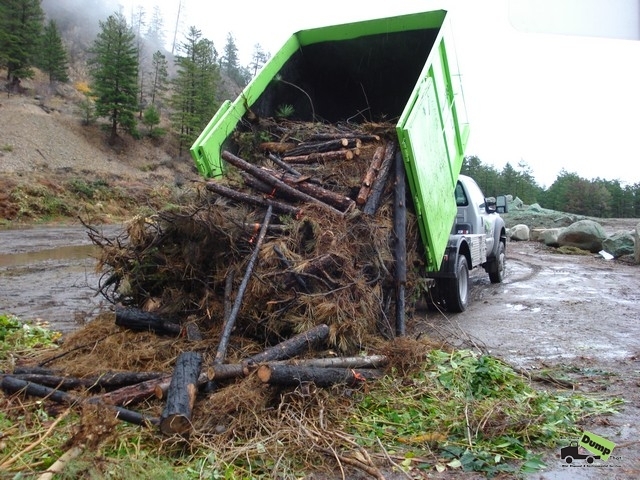 Do you have a lot of yard waste? Make the job easy and get a bin to haul it away. 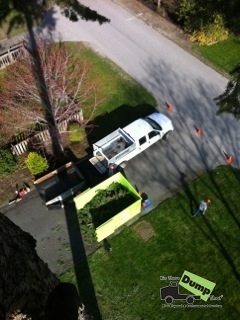 Our friends at Yard by Yard snapped this photo for us when removing the tops of some tall trees.